Charlotte Doway can be found on Youtube. 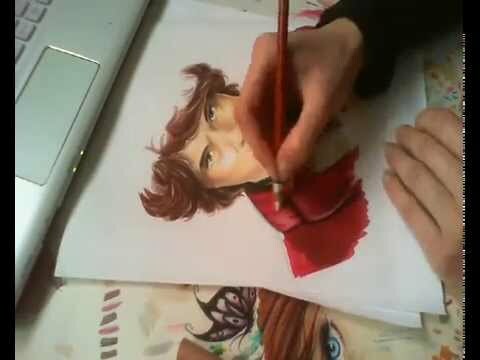 She is a French upcoming artist who puts a lot of details in her speed drawings of famous characters. At this time she does not have the amount of followers on Youtube she deserves. Did you hear the Frozen song in French yet? 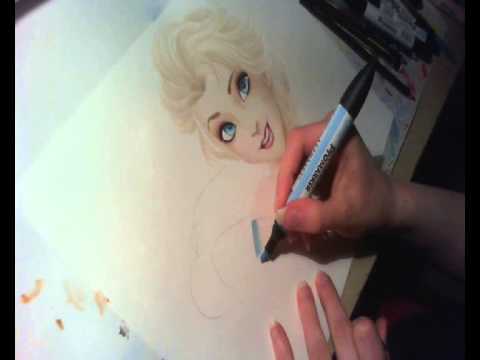 You can hear it here while Charlotte is drawing the Snow queen. It is the reason most people are afraid of clowns. It left a scar for everybody in the 90’s. 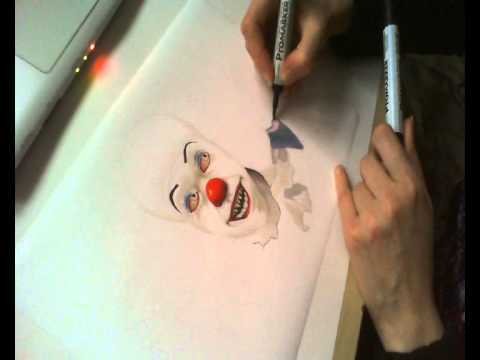 Charlotte decided to draw the famous clown from Stephen Kings It. You instantly recognize it when the tooth and the red hair shows up on the paper. Charlotte Doway is back and this time for the Hobbit. The newest and last Hobbit movie has just hit the cinema. 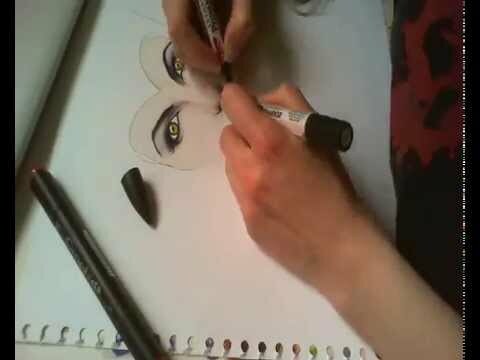 Charlotte shows with a lot of details how to draw the Hobbit from scratch. The selected music makes it even better. I have personally never seen the movie. But after the drawing from Charlotte Doway I feel I have to. The finished drawing is really well done. 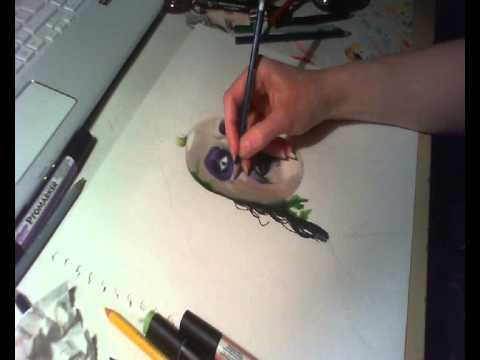 Charlotte even manages to use both hands for this drawing which is a hard skill for everybody to master. 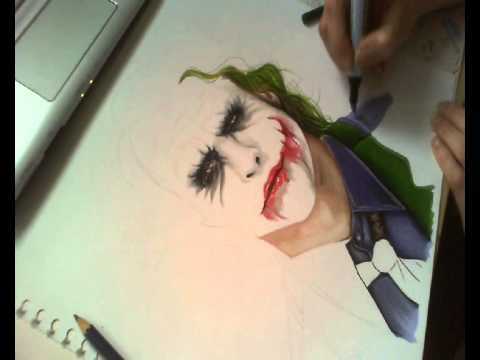 Charlotte Doway has also made this image of the Joker from Batman begins. Heath Ledger did an amazing job playing the Joker and Charlotte manages to put that on paper perfectly. The nice combination of colors and her great drawing skills make it a beautiful drawing. 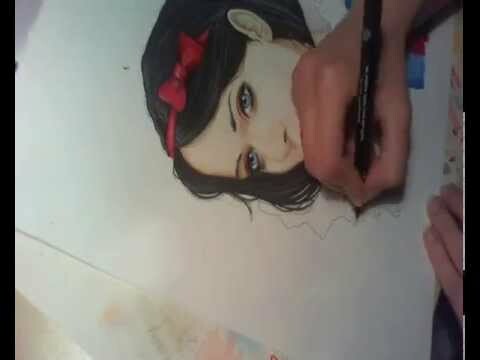 Charlotte Doway draws Snow White to the image that everybody knows from Disney. All the details are done very nicely. Even the colors match what we are used to from Disney. But Charlotte manages to make it look much more like a real person instead of the animated character.